Montsagre Organic Extra Virgin Olive Oil - Family Selection - Picual variety participates in the Oil Competition of the XXIV Oil Fair of the City of Jesus - Tarragona, and wins the prize for the best Oil Fair, in addition to the prize for Best Organic Oil, according to the Panel's judgment of Tasting of Catalonia, and the Best Gastronomic Oil granted by a jury made up of Chefs, Sumillers, gastronomes and highly qualified journalists. Montsagre attends to recent edition of the Hospitality Innovation Planet held in Madrid from February 18 to 20, to learn firsthand about the latest trends and innovations in the hospitality sector; Exploring the possibilities of collaboration with the gastronomic world is very important for the development of the olive oil culture and demonstrates the commitment of the Montsagre Brand with the quality, the future and the values that guide the most qualified sector of the restoration. 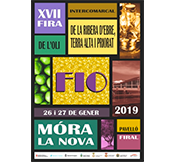 ALANTERRES PARTICIPATES IN THE XVII FIO DE MORA THE NEW AND WINS FIRST AND THIRD PRIZE WITH ITS PICUAL AND EMPELTRE ECOLOGICAL OILS. 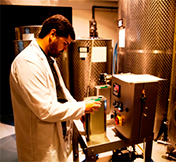 In response to its commitment to the quality and the promotion of the Ebro Lands, Alanterres participates in the 16th Inter-Regional Oil Fair of La Ribera de Ebro, Terra Alta and Priorat, and obtains the first and third awards for the best organic oils with their monovarieties Family Selection Picual and Empeltre. MONTSAGRE PICUAL OIL IS RECOGNIZED IN THE FLOS OLEIS 2019 INTERNATIONAL GUIDE. 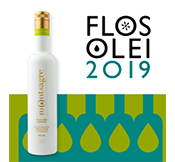 Montsagre Family Selection Organic Picual has been included in the FLOS OLEI 2019 Guide, one of the most prestigious lists in the olive sector; In its first presentation in this publication, it has achieved to place itself among the best high-end extra virgin olive oils in the world. 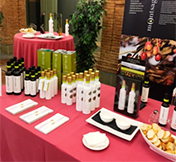 Montsagre has been the extra virgin olive oil invited to participate in the awards ceremony of the V Convocation of the National Tasting Contest "Cepa Spain 2017" organized by "La Bodega de Los Reyes". The event that took place in Madrid, in the Restaurant "La Pesquera de Casa de Campo", had a busy participation in which wines were tasted and tasted our oils, in a very lively afternoon. 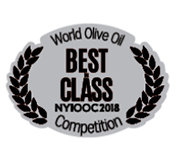 Montsagre Family Selection Picual variety won one of the 16 "Best In Class" awards granted in the NEW YORK INTERNATIONAL OLIVE OIL COMPETITION 2018, among more than a thousand participating samples. The contest which was held in New York City, represents for Montsagre a recognition of its high quality, where 28 countries participated. Spain won 3 prizes of this level. 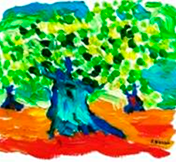 The Barrobés family, linked to the land, the vineyards and olive groves for more than five generations, began to develop the Montsagre project twenty-five years ago. Now incorporates with pride and hope the first member of a new generation. 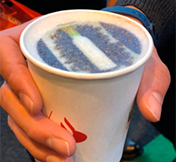 Trained in aeronautics and marketing, and with experience in the manufacturing industry and distribution, Santiago begins his journey in olive and oil culture to take over in a process that is committed to the permanence over time. 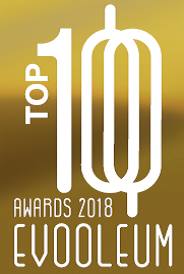 Montsagre Family Selection Picual, has been rated among the best 100 EVOOs in the world, according to the prestigious magazine EVOOLEUM, the announcement took place in an event at the World Olive Oil Exhibition (¨WOOE¨) 2018 in Madrid.The sample collected high quality oils from 13 countries, and confirms Montsagre's commitment to excellence.